1st Farm Credit Services, the largest ag lender in Illinois future-proofed their talent management processes with SAP SuccessFactors implemented by AltaFlux. 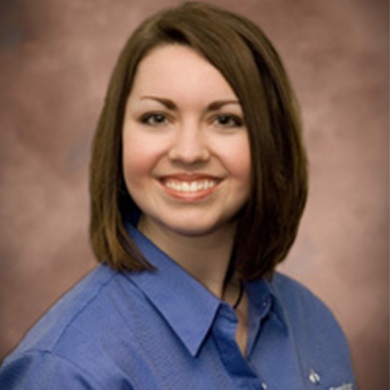 "AltaFlux listened to our needs and provided suggestions and best practices for consideration, which helped us make decisions to move our processes forward." better integrated plan development, goal setting and performance reviews and could provide options for their business as they moved forward. 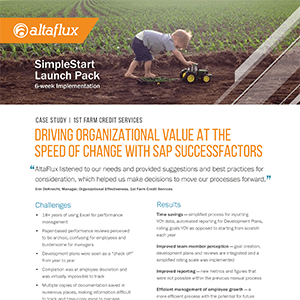 1st Farm Credit Services partnered with AltaFlux to implement SAP SuccessFactors to provide the functionality, customization and ease-of-use they knew they needed as well as ample opportunities for future enhancements. Like these results? Chat with us. We've helped over 150 organizations implement SAP SuccessFactors to streamline and optimize their HR processes. We understand that when starting a project there are a thousand questions. Our experts will gladly help you navigate through the challenge of engineering a solution that can truly benefit your business. You won't be facing a high pressure sales pitch from our team. Whether or not we end up working together, we are positive you'll come away with advice you can leverage to achieve your goals.